Grow Bradford was part of a pop up ‘Story Shop‘ held on Market Street in October. We joined with other local traders, selling handmade and ethical goods, who pooled together to offer Bradford residents something a little different; the chance to buy something with a story, locally. Grow Bradford brought fresh, local produce to the shelves; mainly in the form of apples as they are in particular abundance at this time of year. We were also able to offer fresh cucumbers, kale and tomatoes from Horton Community Farm; local food growing project. 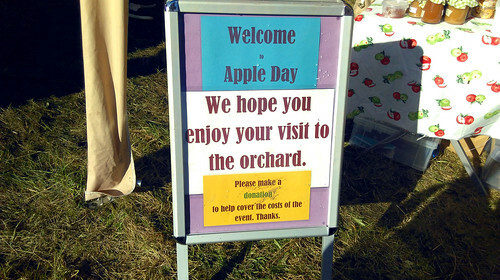 Grow Bradford took part in Bradford’s Fruitshare once again, organising a minibus and fuel to transport volunteers, offering extendable fruit pickers and wizards (for sweeping windfall apples off the floor) and delivering over 35 crates of apples to local organisations. 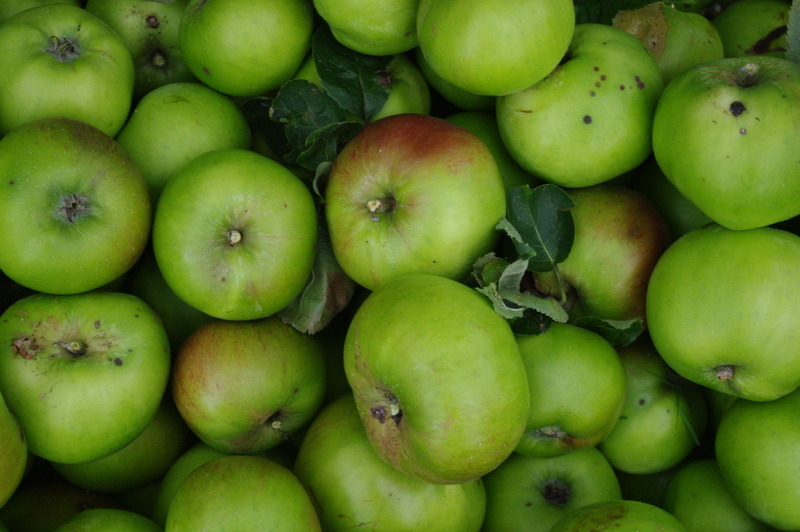 The idea of Bradford’s Fruitshare was developed by Transition Bradford participants to take local volunteers to harvest fruit from local trees, where they would otherwise go unused. The fruit is then taken to organisations working with homeless people, asylum seekers and refugees and where the food can be useful to local people who otherwise find it difficult to access fresh fruit. 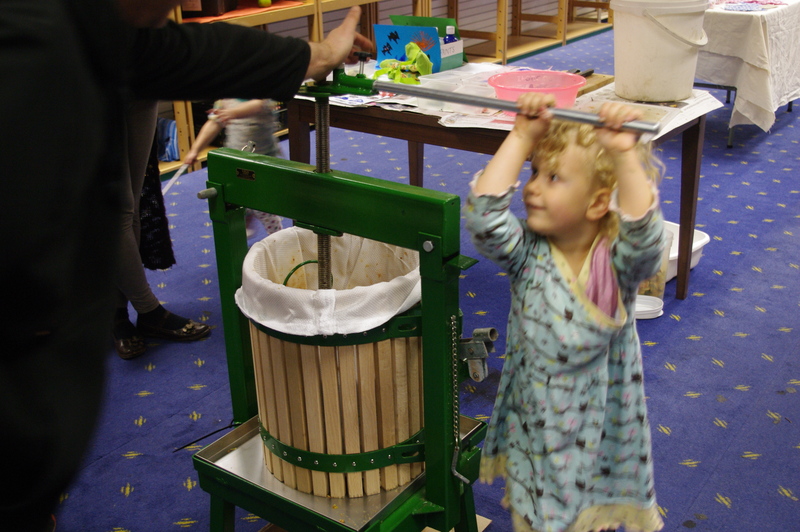 This year we also took our apple press along to the Story Shop and had a family pressing apples with us as well as apple print picture making. 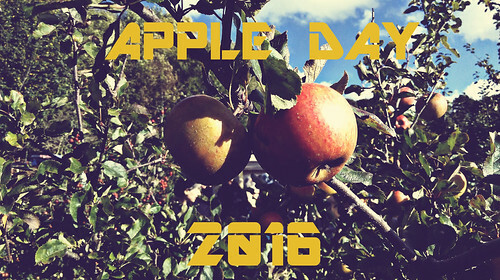 In November, we also joined in with BEES at their community apple pressing session, during which we pasteurised some apple juice, using their pasteuriser. In order to pasteurise the apple juice we had to add a tiny amount of ascorbic acid powder and put the sealed bottles in the pasteuriser at 70˚c for 20 minutes. We were also joined by participants from the fabulous Grow Allerton & Lower Grange food growing project at Café West to make some apple, lime and ginger jam the following week. Please click here to visit our photo gallery to see more photos of these other events.